Thank you to Lenka Cathersides for the following research. Charles John Colbran was born on the 30th of December 1884 in Ore, Sussex to Thomas William and Mary Jane (nee Cooper). At the time of the 1891 Census, the family lived at 1 Summer Hill Cottages, Priory Road, Hastings, Sussex. Thomas was working as an excavation labourer and Mary was a charwoman. 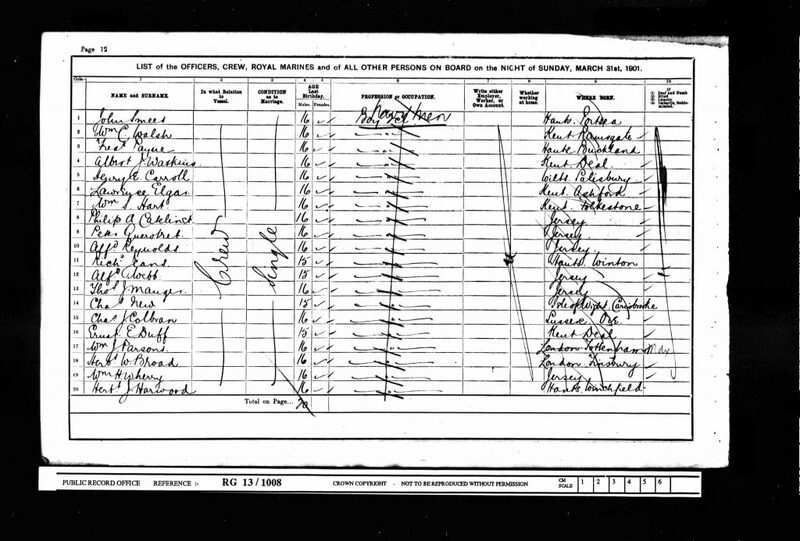 The household further comprised of their children: Elizabeth Ann, Caroline R., Thomas G., Phillis J. and Charles John. Charles’ mother Mary died in the 4th quarter of 1893 in Hastings. 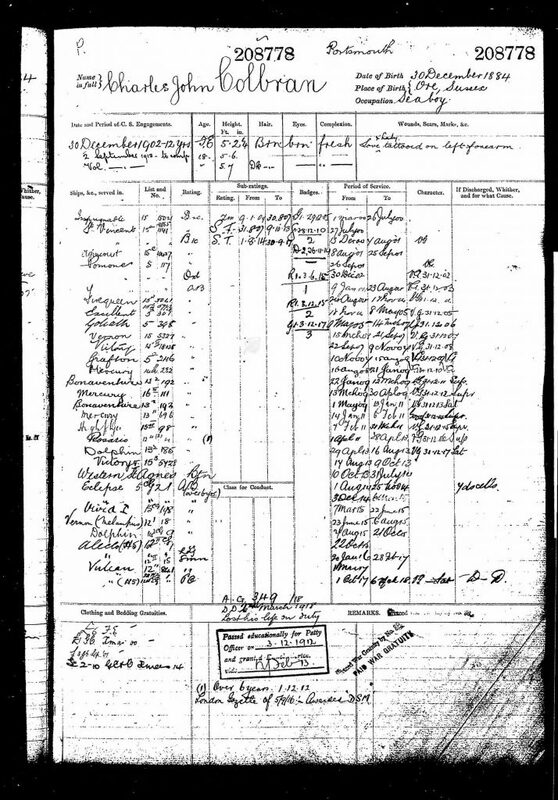 At the time of the 1901 Census, Charles was a Boy, 2nd class, on a vessel in Portsmouth, Hampshire, England. Charles enlisted into the Royal Navy on the 30th of December 1902 in Portsmouth, Hampshire. His service number was: 208778 (PO). He lived at 3 Moores Road in Dorking with his sister Elizabeth Capon. At the time of his enlistment he was a sea boy. He had brown eyes, brown hair and a fresh complexion. He had the word “love” tattooed on his left forearm. 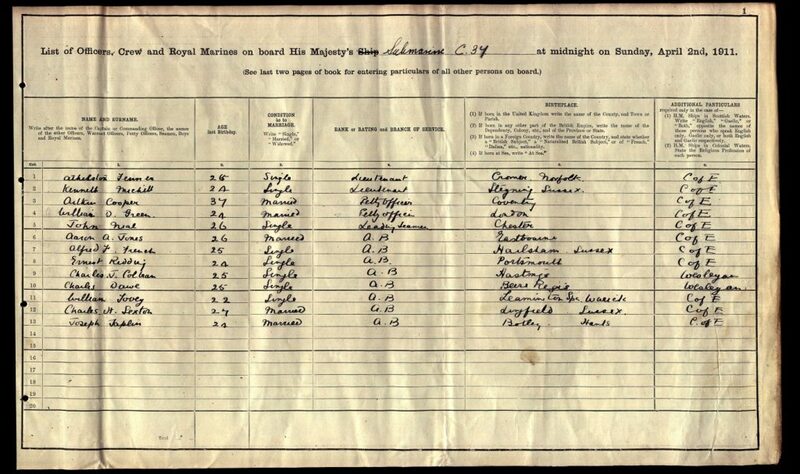 At the time of the 1911 Census, Charles was an Able Seaman on HM Submarine C37 in China and East Indies. He served aboard several ships. The first ship he served aboard was HMS Impregnable: from the 1st of March 1900. On the 3rd of December 1912 Charles became a Petty Officer. On the 5th of September 1916 he was awarded D.S.M. for his services in the Gallipoli. The last ship he served on was HMS Verdun: from the 1st of March 1917. From the 1st of October 1917 he became part of the crew of HM Submarine H5. 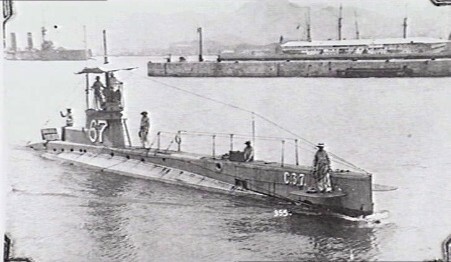 Charles Colban drowned on the 2nd of March 1918 in the accidental loss of HM Submarine H5 in the Irish Sea. He is commemorated on the Portsmouth Naval Memorial in England. His memorial reference is 28. Charles left to his brother in law, Edward and his sister Elizabeth Capon £88 and 2d in Probate. Charles’ father Thomas William was born in the 3rd quarter of 1849 in Rye, Sussex to Charles and Anna Colbran. Thomas was baptised on the 30th of July 1849 in Rye. 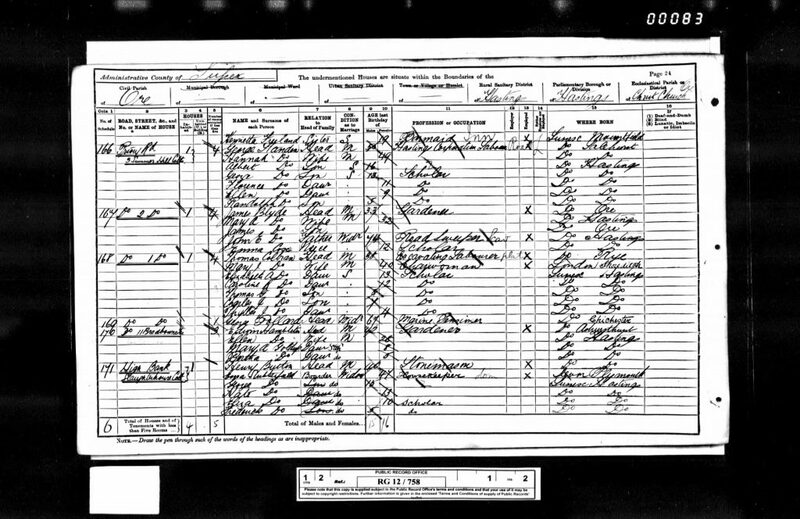 His mother, Mary Jane Cooper was born about 1852 in City of London to railway worker William, born about 1829 in Scotter, Lincolnshire, and Elizabeth, born about 1828 in Sawbridgeworth, Hertfordshire. Thomas and Mary married on the 6th of August 1876 in Rye, Sussex. 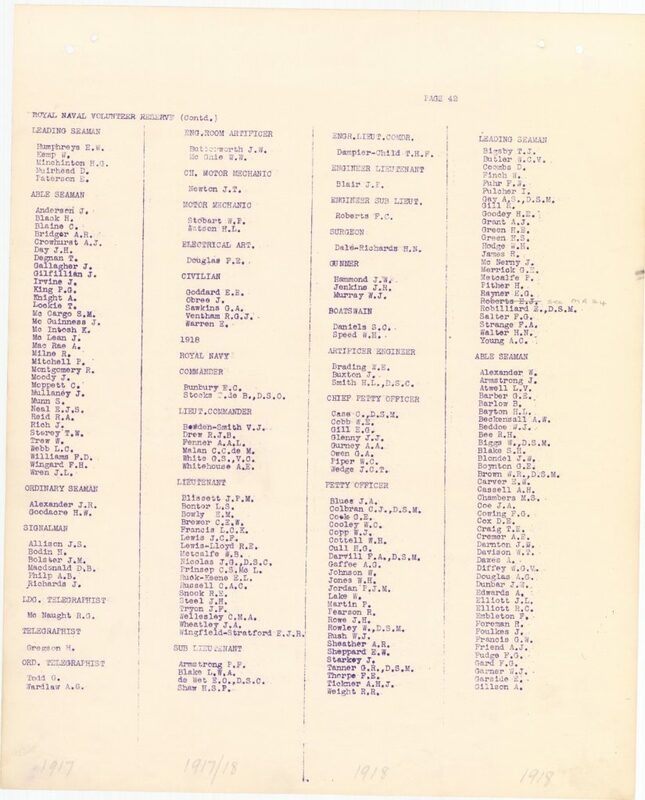 Charles John Colbran had four known siblings: Elizabeth Ann born about 1878; Caroline R. born about 1879; Thomas G. born about 1885 and Phillis J. born about 1887, all in Hastings, Sussex. At the time of the 1881 Census, the family lived at 23 Hughenden Road, Ore, Hastings. Thomas was working as a carman and Mary was at home looking after their children: Elizabeth Ann and Caroline R. The household further comprised of Mary’s two brothers and a boarder. At the time of the 1901 Census, Charles’ sister, Elizabeth was a servant for architect Frederick Bargman at 4 Horsham Road (Woodbourne) in Dorking. Elizabeth Ann Colbran married Edward John Capon in the 2nd quarter of 1903 in the Registration District of Dorking, Surrey. The 1921 Surrey, England, Electoral Register reads that Edward and Elizabeth Ann Capon still lived at 3 Moores Road in Dorking, Surrey. Unlimited free entry: Come and go as many times as you like. Member Events: Enjoy special preview evenings, talks and social evenings. Discounts: 10% off at the museum shop. Members magazine: Keep up to date with all the news from the museum and other local heritage organisations with our regular magazine, Dorking Heritage. © Dorking Museum & Heritage Museum. All rights reserved.